January 11, 2019:SCOS General Meeting. Andy Cameron will be our guest speaker. 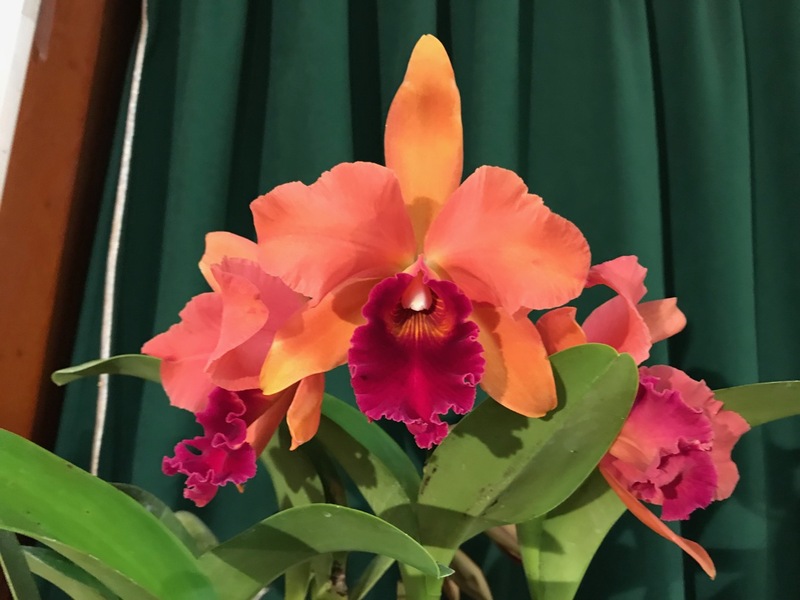 The title of his talk is “How Do Genes Make An Orchid Flower? January 12, 2019. 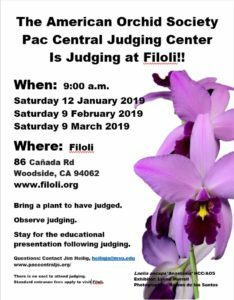 AOS Pac Central Judging at Filoli. 9 a.m. 86 Cañada Rd., Woodside, CA. Click here for more info. February 9, 2019. AOS Pac Central Judging at Filoli. 9 a.m. 86 Cañada Rd., Woodside, CA. Click here for more info. 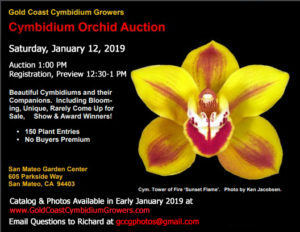 March 2 - 3, 2019: Santa Cruz Orchid Society Show and Sale. Cabrillo College Horticultural Center, Aptos California. March 9, 2019. AOS Pac Central Judging at Filoli. 9 a.m. 86 Cañada Rd., Woodside, CA. Click here for more info.